With mounting accusations of fraud, manipulation, squandering and corruption against them, it seems that former members of the South African National Gambling Board are becoming desperate. This week, the Democratic Alliance published an article in All Africa describing a recent visit to the National Gambling Board's head office in Centurion, which it conducted unannounced. The reason for the DA's visit was to investigate the R58 million lease over ten years that the DA had entered into with the owners of their head office premises. Firstly, the Democratic Alliance pointed out that the NGB was paying R292 per square meter, when the market rate on the property was R106 per square meter. As such, it demanded that this information be included in the ongoing forensic investigation against the board. However, the more dramatic claim by the DA about their October 20th visit, was the fact that they found five boxes of shredded documents which, they claim, are minutes of the 40 'special' meetings held in Pretoria. "It is at these meetings where the board decided to increase their salary by 40%", wrote Dean Macpherson, shadow deputy minister of trade and industry in South Africa. "Not only is it apparent that the board did not comply with the corporate governance directives of King Code III during their special meetings, it also appears that they have engaged in the obstruction of justice with their shredding exercise," he wrote. "Those documents should have been scrutinized by the forensic investigators." 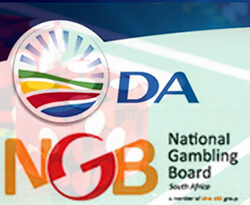 The DA points out the many accusations currently made against the National Gambling Board, leading to decision by the Minister of Trade and Industry, Rob Davies to suspend the entire board and order a forensic investigation. Under the umbrella of fraud and corruption, the board has been accused of trying to directly award a R1.3 billion tender, of taking a R1.6 million trip to Norway and trying to get the entity to cover the expenses of accompanying spouses, and of the irregular appointment of an HR manager whom they paid an annual salary of R2.2 million. Macpherson said that he would write to Davies and advise him to include the shredding of evidence in the ongoing investigation against the group. "The DA will continue to monitor this investigation and ensure criminal charges are brought against those responsible," promised the shadow minister. "We will not allow such people to be "redeployed" by the ANC to other state boards."